We trekked to two villages today. 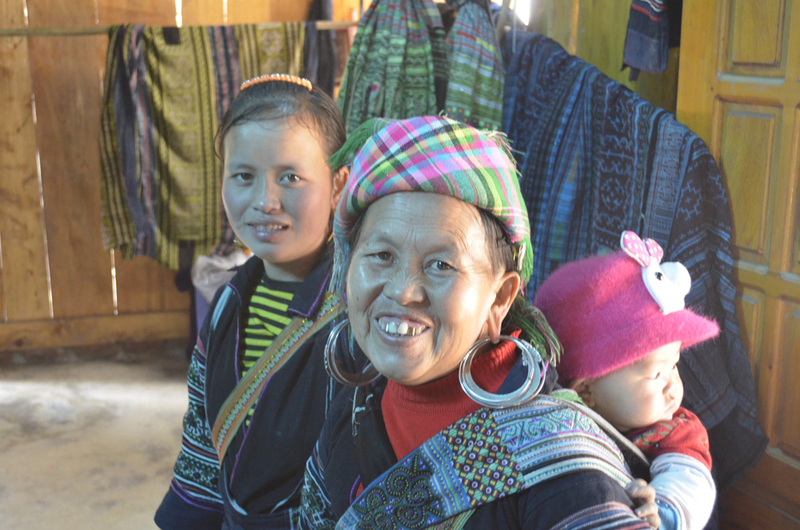 The first was Lao Chai village, 6 km from the centre town, where the H’mong people are living. 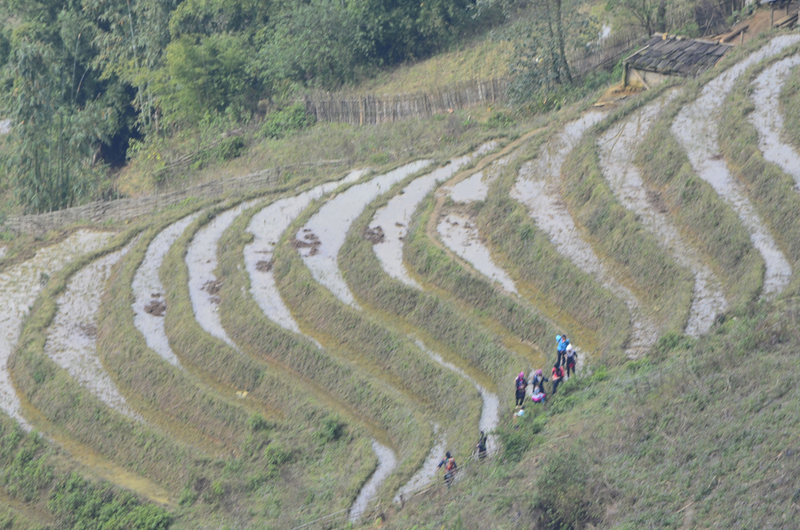 The trek was through rice fields and quite steep. The most difficult part was walking and balancing on the edge of the terraced rice paddies. In my embarrassment of being 65 a village girl had to hold my hand over quite a long stretch that was about six inches wide and straight down a long ways on the right and into the water on the left. I managed to slip into the water several times but the girl kept me from falling down the mountain. Narda had a girl with a baby on her back holding her from slipping down the side. 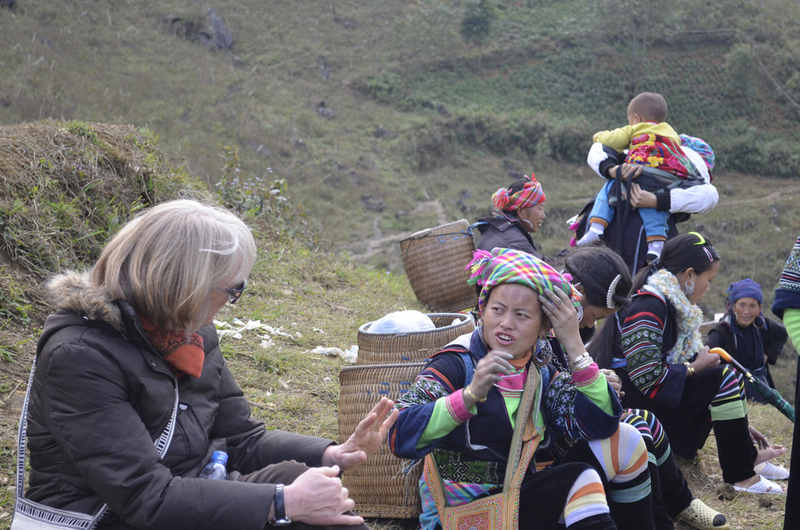 We took about two hours to get down to the bottom to the beginning of the Muong Hoa valley. Our guide who collected us from where we are staying this week; the Thai Binh Sapa Hotel (http://thaibinhhotel.com/), was from the Hmong tribe and she spoke good English. She had her baby strapped to her back the whole way and was really a good guide and a steady hand to Narda over some of the slippery and muddy parts of the path. We had lunch at her village and went on to to Ta Van Village which borders Lao Chai Village. Lunch was good with the only complaint being the constant harassment from children selling stuff. We did purchase a bed spread and some other embroidered things from our guides mother. The bed spread she said took three-months to make, OK so we believe things but it was well done and the mother (in the photos below) was making them whilst we were there and a lot of work goes into these things. We paid 700 dongs about $35 US and for a handmade spread that seemed cheap. They die the fabric with indigo plants that make it go green. The fabric is soaked for months; the longer it is in the dye the darker. We picked some of the plants and it instantly makes skin turn green. Our guide is on the left below and her mother is holding the baby after hours on the back of the mother as we climbed down the mountain. 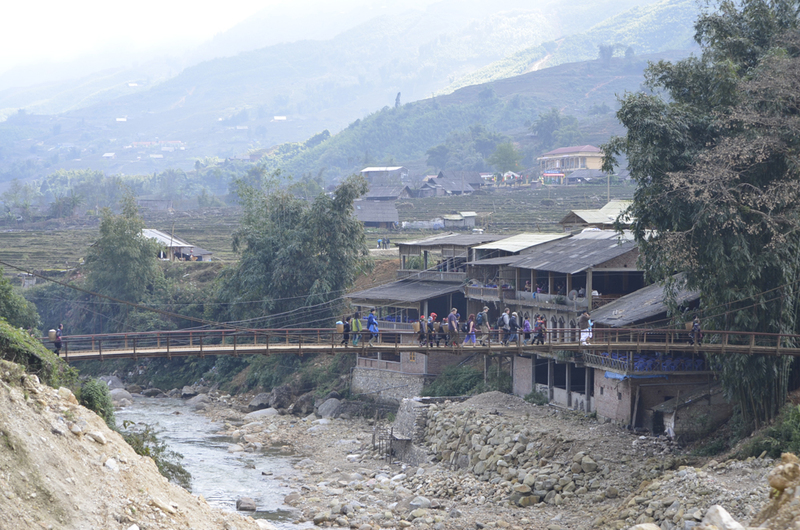 There are six major groups in the Sa Pa area each speaks their own language though they share Vietnamese they do not understand the other villages languages. Each village has its own culture and beliefs. Our guide is Buddhist and she married a fellow from another village. 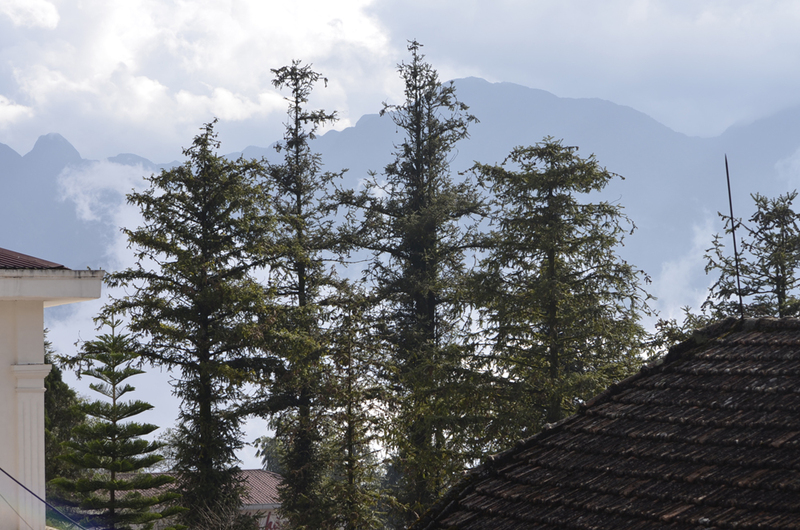 Some villages are Christian some have no beliefs  which is impossible because we all believe something or the other  but they all co-exist and have for I suppose many hundreds if not thousands of years. Apparently they were not affected by the American war in the 1960s and early 1970s and the government has pretty much left them alone, probably because they are so isolated and non-threatening. This is really something to see; we, with all our Western beliefs and wants and to see tribes living like they have for so long makes one believe that society may continue. They will be still here when all the Christians, Muslims, Jews and spiritualists of many hues destroy themselves. The teenagers do not run off to Hanoi but stay in their villages and keep the traditions going. I took 188 photos and a lot of video today and I am trying to select the best 20 or 30 or maybe 50 for todays album which I am uploading to Facebook, Google+ and a few other photostreaming sites. This entry was posted on Monday, December 31st, 2012 at 10:38 am and is filed under Asia, Brooklyn, family, Lao Chai Village, Sa Pa, travel. You can follow any responses to this entry through the RSS 2.0 feed. You can leave a response, or trackback from your own site.